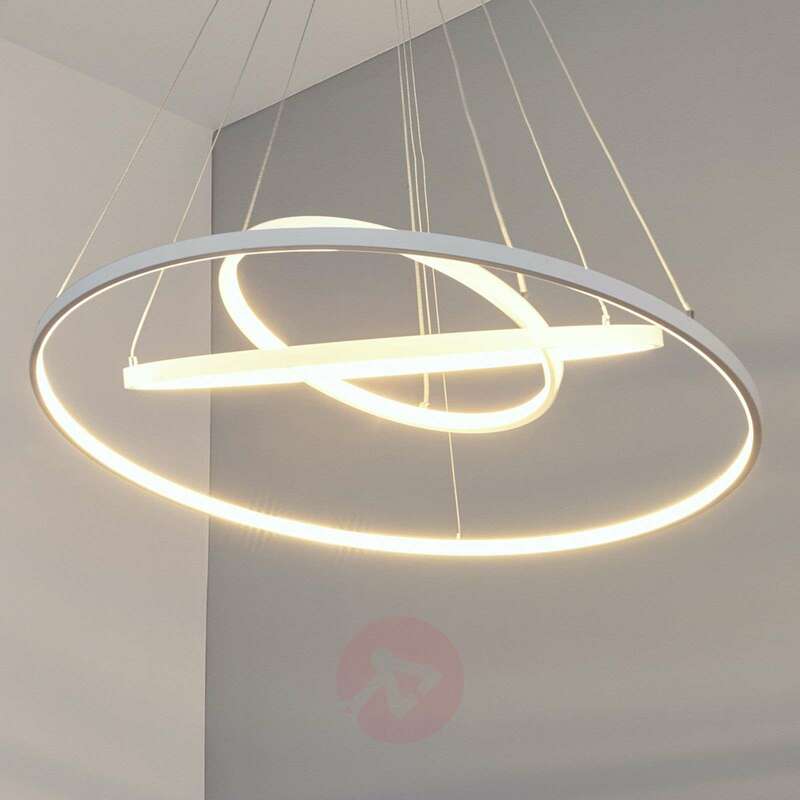 The rings on this LED pendant lamp are exceptionally delicate, with the result that Eline has a very light appearance, even though, standing at 80 cm, it is actually very large for a pendant lamp. The position of the rings – the height and angle – can be individually adjusted on installation. This means that the lamp can be installed in many different guises. 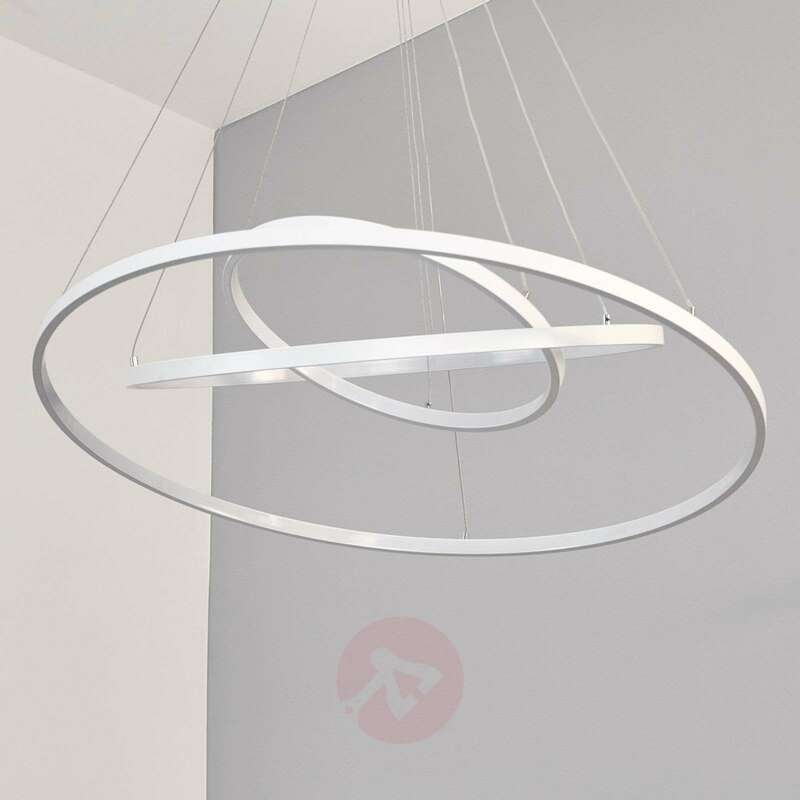 The metal rings have a white painted exterior; whilst the interior features an LED band. This creates very pleasant lighting with reduced glare. The LED pendant lamp is, generally speaking, a very modern light, which can be combined well with puristic interiors. The lamp does not have any unnecessary details - instead, with its circle, the lamp focuses on the most essential and universal geometric shape. 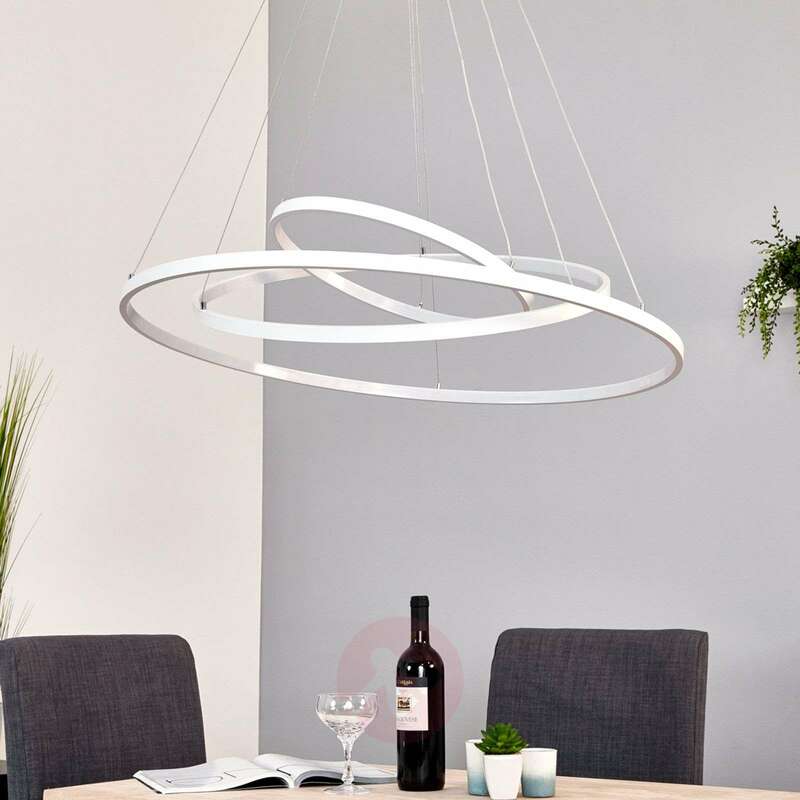 This LED pendant lamp looks great above dining tables, which is lights up wonderfully. Both Eline’s size and brightness mean that it is also suitable for use in commercial properties, including restaurants and hotels. Hi - is this light compatible with dimmer switchers? Due to the permanently fixated LED's and the fact that the light does not have an integrated dimming function, it won't be possible to dim the light. 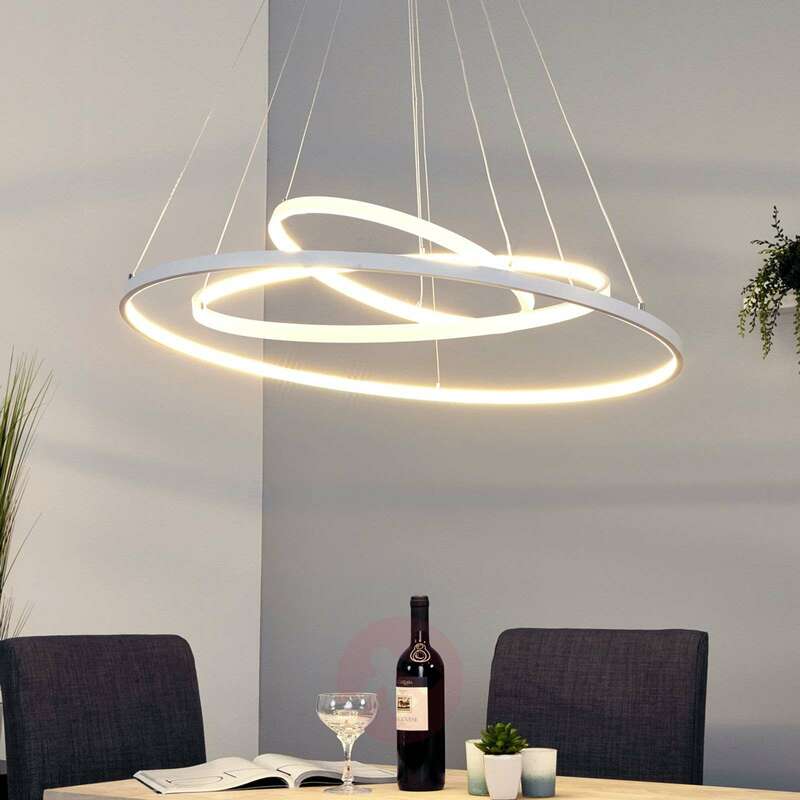 Is it possible to convert this pendant to a dimmable format? As a possible alternative option have a look at the following item numbers : 9005131 & 7620002. What happens when the LED fails? Say in 5years time? Do I have to replace the entire light fitting? When one of the LED's fail, you will have to replace the whole light fitting. LED's generally will provide you with approximately 20 000 -25 000 hours of burning life when in use. The Eline has a 2 year warranty in place.